Over the last five years, the craft gin industry in South Africa has enjoyed tremendous growth. So much so that there are more than 130 gins being produced by local companies. Each gin has its own appeal and character, created by unique distilling methods, botanical infusions, branding and packaging. Tonic producers have responded swiftly, with innovative new local products appearing on the shelves every month. It’s an exciting time for gin lovers. South Africa, with its rich indigenous flora, is perfectly placed to create craft gins infused with local botanicals, from rose pelargonium to devil’s claw, rooibos, wild lavender, Karoo thorn flower, African sage, wild cucumber, African wild rosemary and more. 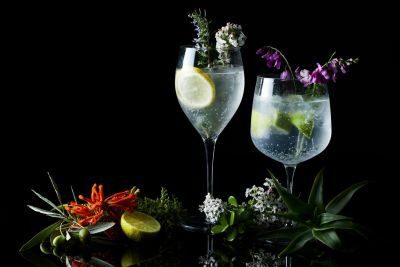 But, as a hotelier or host, how do you ride this trend and treat guests to the perfect gin and tonic experience when you’re so spoilt for choice? It can be daunting! Do you know how to: DELIGHT YOUR GUESTS WITH AN AUTHENTIC, HOME-GROWN GIN TASTING EXPERIENCE? 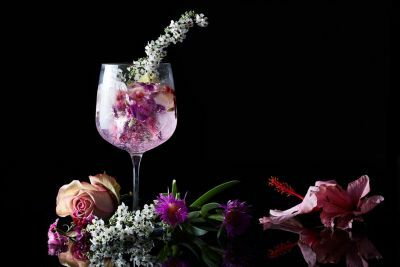 CREATE A GIN OFFERING THAT REFLECTS YOUR VENUE’S QUALITIES AND SETTING? AFRICA INFUSED can provide you with solutions. We are skilled at understanding your needs, the profile of your guests and your location’s unique setting. With our passion and knowledge of South African craft gins and tonics, we can create a customised, truly unforgettable African gin experience for your guests. We offer lodges and hotels assistance in stocking and setting up a gin bar. 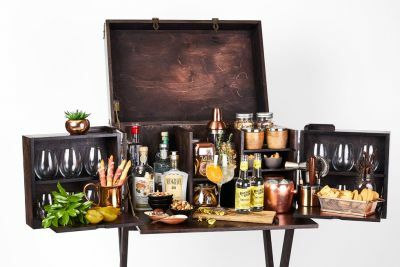 This may be part of a permanent bar, a trolley, part of the in-room experience or a mobile bar that can move to various locations. 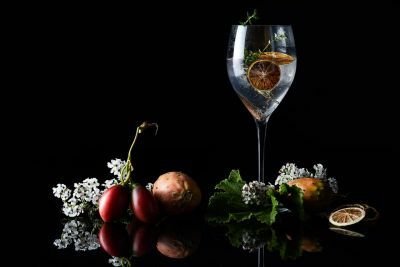 Considering the flora of the region and matching it with garnishes in specifically-selected craft gins, we help you to create gin cocktails that are as unforgettable and magical for your guests as their time spent with you. The design and layout of your gin menu are as important as the bar itself. It is here that guests can learn a little more about the craft gin industry in South Africa and explore the various taste options available to them. Becoming a destination venue for gin-thusiasts is a dream for many venues. Together with the distillers and producers, we can organise and host events for your guests and friends. We have over 27 years of experience in the design and delivery of training. We offer highly interactive, practical and detailed programmes for bar staff, waiters and rangers in the art of advising clients, and making and serving the perfect craft gin cocktails with professionalism and flair. The MobiBar™ is an elegant, robust bar neatly contained in a wooden chest. In three easy moves, the MobiBar folds out into a fully-equipped mobile bar with everything you require to make an event a special “under African skies” experience. The MobiBar™ is designed to be taken on game drives for sundowner drinks or for tea and coffee stops in the morning. It can also be used as a general mobile drinks bar on your pool deck, veranda or in your restaurant. The MobiBar™ comes in three sizes. 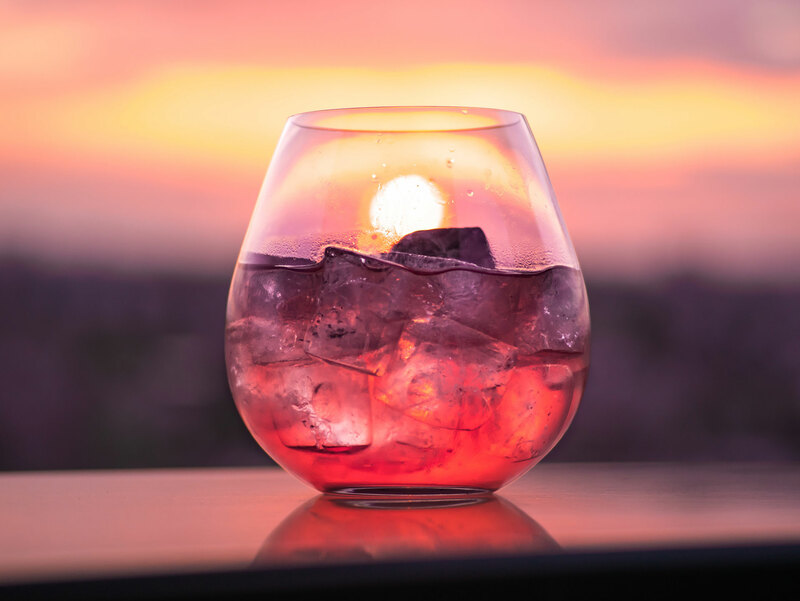 Gin and tonic is as synonymous with Africa as spectacular sunsets in beautiful locations. 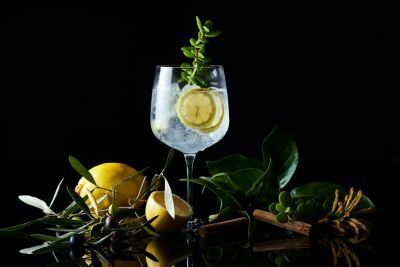 With the explosion of the craft gin industry in the last five years, there are now more than 130 locally-produced gins, each bringing its own unique distilling methods, botanical infusions, branding and packaging. And local tonic producers have responded with their own innovative products. So, how do you ride this growing trend when you are so spoilt for choice? 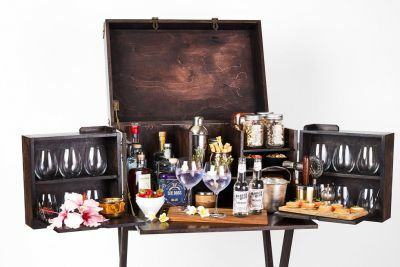 Do you know how to delight your guests with an authentic, home-grown gin experience that reflects the qualities and setting of your venue? Africa Infused is a consulting company with a special interest in the rapidly-expanding South African gin market. Based on a thorough understanding of your needs, we craft solutions that are unique to each lodge or hotel. Want to know more about how we can train your staff, or supply your business? Leave us your email address below, and we’ll get back to you shortly to answer any questions you may have. Highlights of any African safari adventure are the morning and evening game drives. Guests have the opportunity to experience the natural beauty of the bushveld from a game vehicle, in the company of an experienced field guide. Sundowner drinks and a tea and coffee stop in the morning are a key part of this service. Making these refreshment stops a uniquely African experience for your discerning guests has always been a challenge. 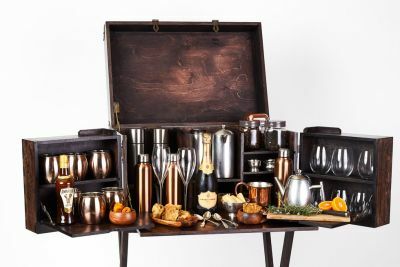 Now your field guides can take a fully-equipped sundowner drinks bar – or tea and coffee bar – with them on a game drive. The MobiBar™ is an elegant, robust bar neatly contained in a wooden chest. In three easy moves, the MobiBar™ folds out into a fully-equipped mobile bar with everything you require to make the event a special “under African skies” experience. The craftsmanship and finishes on the MobiBar™ make it ideal for use on your pool deck, veranda or in your restaurant. The stand comes with wheels to make it easy to move around as required. 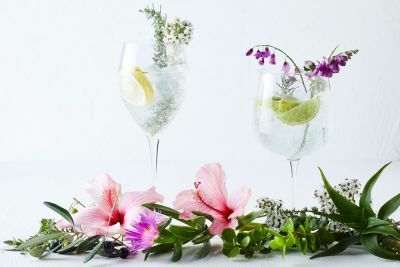 Wherever possible, plants, bark, fruit, flowers and seeds from the African bushveld will be sourced as garnishes to complement each gin and tonic or cocktail. You can choose your own finish for your MobiBar™ to suit the look and feel of your lodge and your distinctive requirements. Want us to contact you? Leave your email here.